Already at the planning stage of the future renovation, when the owners mentally draw a picture of the future renovated interior, look through various catalogs and wander around the finishing materials shops, the most attention is paid to living rooms, while the hallway area is unfairly forgotten. But the entrance hall is the face of the apartment, where guests receive a first impression of the whole dwelling. As a result, for the hallway wallpaper is chosen cheaper, simpler, the main criterion for selection is not marzime. Such an approach can spoil the entire impression of the repair. Let's try to figure out which wallpaper should be chosen for the hallway, so that it becomes a worthy place to meet the guests. 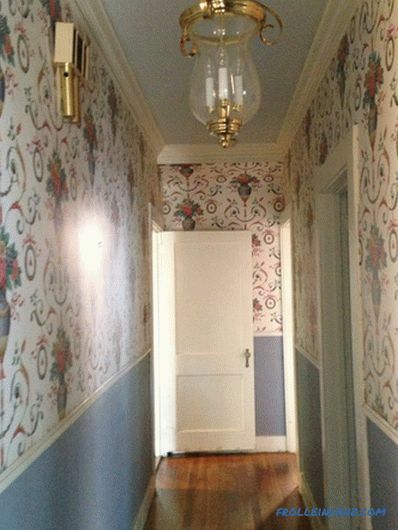 What types of wallpaper are best suited for the hallway? Walls in the hallway are most likely to be contaminated by dust and dirt brought from the street; , Small children. Sooner or later, nasty drips, stains and drops appear on the walls of the corridor. Therefore, when choosing the type of wallpaper, preference should be given to washing species. According to the degree of water resistance wallpaper can differ in three types. To identify it, just look at the icons on the label. One-wave wallpaper on the label - loving gentle care. It is best to wipe them with a soft microfiber cloth or suede. Two waves mean that the wallpaper is moisture-resistant, you can wipe them with a damp cloth when cleaning. Three waves - washable wallpaper, you can take care of them with the help of cleaning products. The strongest wallpaper on the label have a brush icon. 1. 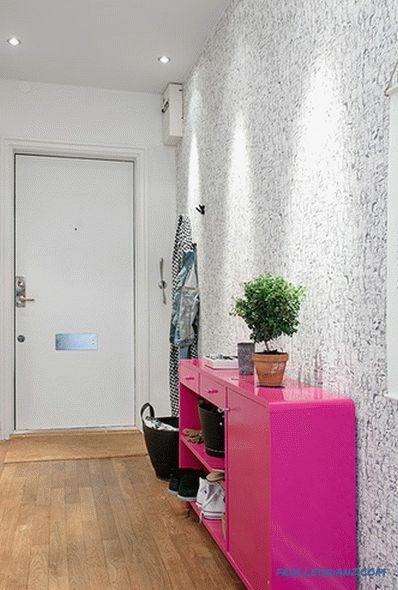 Vinyl wallpapers can be a great option for a corridor. The surface of this wallpaper is very durable and easily tolerates various types of mechanical effects. The texture of vinyl wallpaper allows you to hide the irregularities of the walls and prevent the occurrence of cracks, which is important for new buildings. 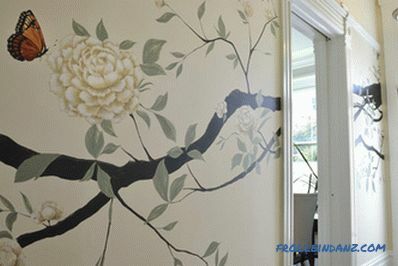 The basis of vinyl wallpaper is usually non-woven. 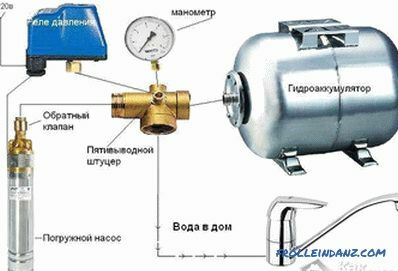 It is a nonwoven material resistant to ignition and tearing. 2. Another version of the wallpaper for the hallway is silk screen printing. This is a vinyl-based wallpaper on paper with a top layer of durable silk threads. These wallpapers are characterized by high durability and ease of maintenance. 3. If you are a supporter of innovative solutions and thought about which wallpaper to choose for the hallway, you can pay attention to the liquid wallpaper. They are a dry mixture, which is diluted with water and applied to the wall with a spatula. 4. 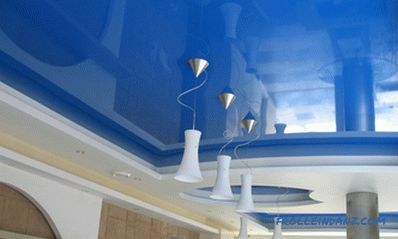 The modern market of finishing materials offers quite a large variety in color and texture of liquid wallpaper. 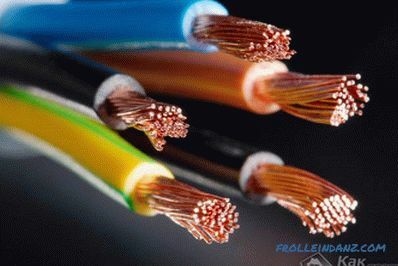 The main advantages of this material are antistatic effect, increased sound and heat insulation, ease of maintenance. In the corridor with liquid wallpaper on the walls it will be enough to remove the contaminated area with a spatula and apply a new layer, which after drying will merge with the main layer. 5. Another innovative material among wallpapers is glass wall paper. They look gorgeous on the walls. 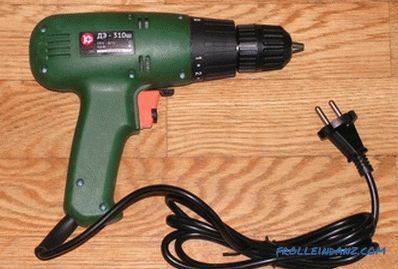 Their main feature is that they can be painted in any color you like after gluing. And you can do it several times, with each pollution, which is especially important for the hallway. You can also change the color of the walls at will at any time and at no extra cost. Obsolete paint can be removed with a solvent, and glass wallcloths easily tolerate mechanical cleaning with a brush. 6. Not very common, but having a place to be wallpaper, which is successfully used in the hallway - wallpaper made from natural materials (cork, bamboo, palm leaves). They can be used as wallpaper for the corridor in an apartment with an eco-friendly interior. Their main drawback is the high price, so you can use them, combining with other, more budget types of finishing materials. The color of wallpapers plays an important role. White shades so beloved by many will not long be pleasing to the eye in the hallway, quickly becoming dirty and taking a sloppy look. The dark walls in the hallway without windows, in turn, will give the room a gloomy and uncomfortable look. The main thing here is not to go to extremes and choose a neutral color, for example - lilac, deep blue, brown-orange. In order that the dust and dirt do not spoil the look of the walls, you can resort to a motley wallpaper. In this case, the background should be bright, and the picture - contrast-dark. The color and pattern of the wallpaper can also be selected depending on the desired effect. For a small hallway, you should select a wallpaper with a small pattern, a large ornament can visually reduce the space. The hall is covered with wallpaper with a small pattern. You can also use two types of wallpaper, paste the lower and upper parts of the walls with different wallpapers, laying a border between them. In this case, the wallpaper should be the same color and texture, but the lower part should be darker than the top. At low ceilings, choose wallpaper with vertical stripes, and at too high - with horizontal stripes. Clear horizontal lines can visually expand the narrow space of the hallway. An example of a hallway with horizontal combination of walls in the hallway. There are also special types of wallpaper with a metallic pattern, which has a smooth mirror surface. Reflective patterns on the walls will expand the narrow corridor and give it a chamber luxury. Another great wallpaper option that you can choose for a small hallway is photo wallpaper. They can be depicted perspective of the city, or landscape. Photowall-paper with the image of ladders, various paths and the bridges leaving into the distance look great in the corridor. Photo walling application in the hallway. With the help of the color scheme and the pattern on the wallpaper, you can both emphasize the advantages of space and draw extra attention to its disadvantages. Repeating geometric motifs in the form of stripes or figures can emphasize the irregularities of the wall, oblique angles and uneven ceiling. Light monophonic walls can give the same effect. If you want to hide the flaws of the walls and the ceiling, use the wallpaper, which has a non-repeating large print with unexpected color effects. Excellent reception for visual expansion of a narrow corridor - pasting opposite walls with different wallpaper. At the same time, let the color scheme be either combined or contrast. 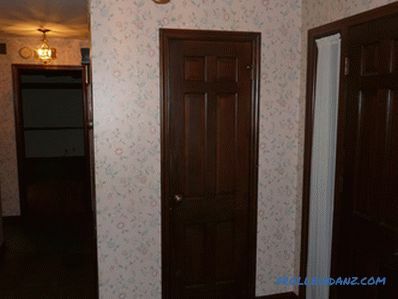 But the texture of the wallpaper is better to choose the same for both walls. When choosing a wallpaper for the hallway, you should also consider the overall design of the apartment. 1. If you plan to decorate the rooms in a classic style, then it is better to give the hallway a strict, conservative look. It is well suited natural wood, plain walls and light ceiling. 2. If modern style is used in the apartment, then mirrors, metal shine on lighting devices, metal furniture of doors and furniture will be appropriate in the corridor. 3. Eco-Style fans will find natural materials used in the hallway. As a rug under the door, you can use a shallow box with pebbles poured into it, wallpaper can imitate natural stone. In such a hallway, you can also use natural wallpaper, highlighting their individual zones. For example, the entrance area can be decorated with bamboo or stone. It would be very appropriate to decorate the walls with hanging pots with some unpretentious plant that prefers shaded spaces. In a word, the entrance hall is the place where everyone who comes to your house will add their first impression of you and your home. Therefore, it is worth paying more attention to this zone and try to make it unique, emphasizing the individuality of the apartment and the character of its inhabitants.